In Long Beach, CA, this week marks the start of the new school year. In many other school districts and areas in the country, students are already getting settled into the year. School can be overwhelming not only because of the stress of homework and assignments, but because of interpersonal dynamics with classmates. More time is spent at school and with other students than at home with family and loved ones. I thought this week would be the perfect time to share a great article in the Huffington Post on the differences between someone being rude, mean and actually being a bully. The author emphasizes that there is a real need to draw a distinction between behavior that is rude, behavior that is mean and behavior that is characteristic of bullying. That if we continue to mislabel interactions (and use the word bullying when it is not appropriate), we will become immune or desensitized to the term “bullying,” and won’t be able to help a child in need when it’s most important. Kind of like the idea of the boy who cried wolf. This is great for both students and parents to read in order to equip yourself (or loved one) for the year ahead — and new social situations. Check out the entire artcicle Rude vs. Mean vs. 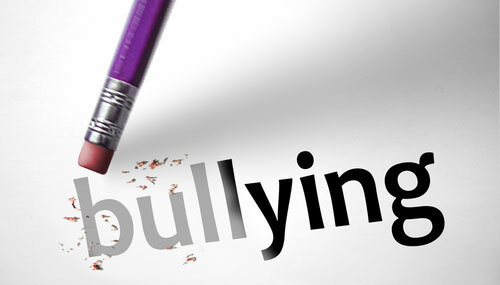 Bullying: Defining the Differences written by Signe Whitson, a child and adolescent therapist. I hope you find it enlightening and relevant, just like I did. This entry was posted in Self Esteem and tagged #bullying, #huffingtonpost, #JLLB, #knowthedistinction, #mean, #rude, #theconfidencepost, #whatisabully. Bookmark the permalink.